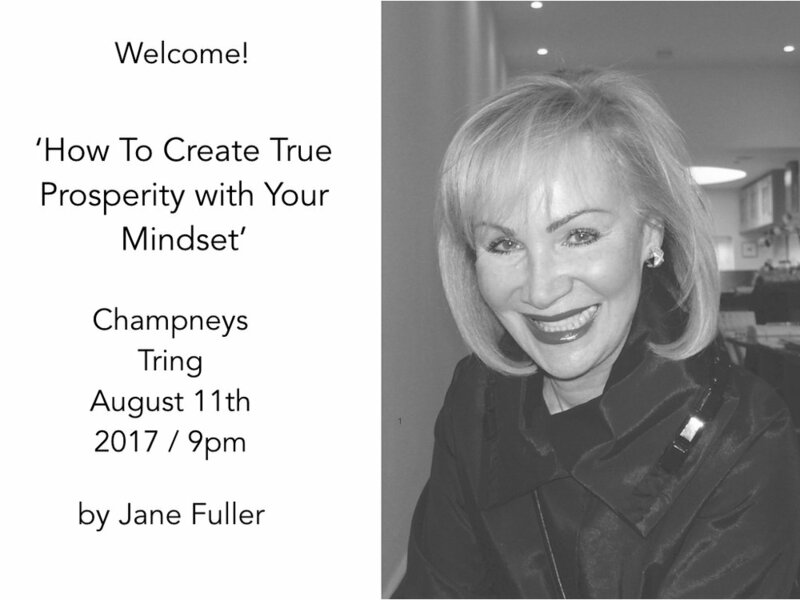 I gave my first talk @Champneys Tring on July 12th 2017 entitled 'How to Create True Prosperity with Your Mindset'. techniques to achieve success and prosperity in every area of your life. Come and join me at this super powerful talk.....it's your life, make it a happy and prosperous one! 8) Lead a happy and prosperous life! 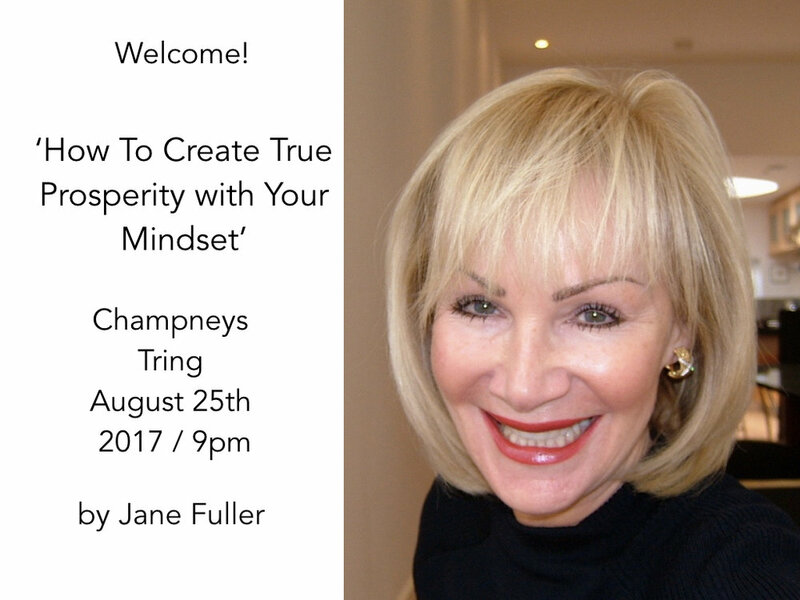 I have been asked to give 2 more follow up talks @Champneys on Friday August 11th and Friday August 25th 2017 - please join me if you can! Would you like greater prosperity in your life in 2017? 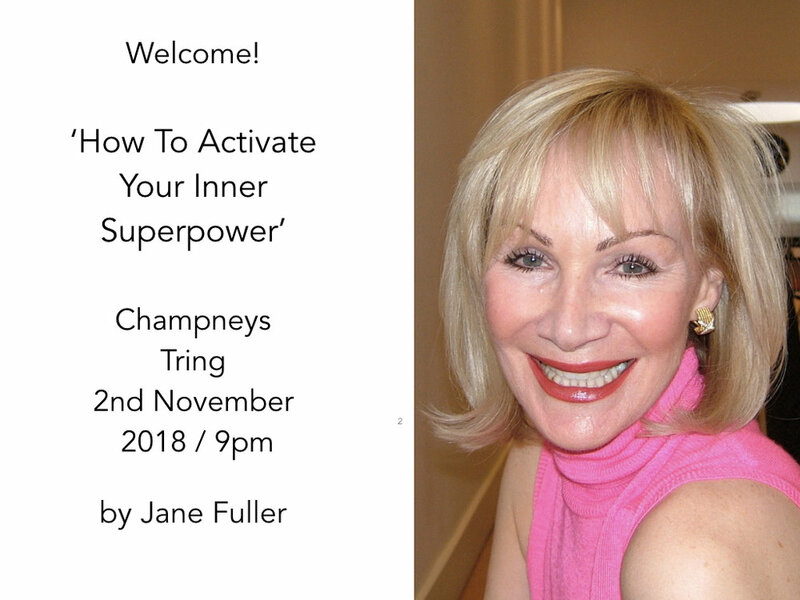 If so, one of our Heal Your Life teachers, Jane Fuller, will be able to teach you the principles that can help. She is offering a one day workshop designed to assist you in understanding how your thoughts and beliefs about money have been limiting you, and how to change those thoughts to create more prosperity in your life. This course is fun, exciting, and dynamic; it will help you become friends with money! 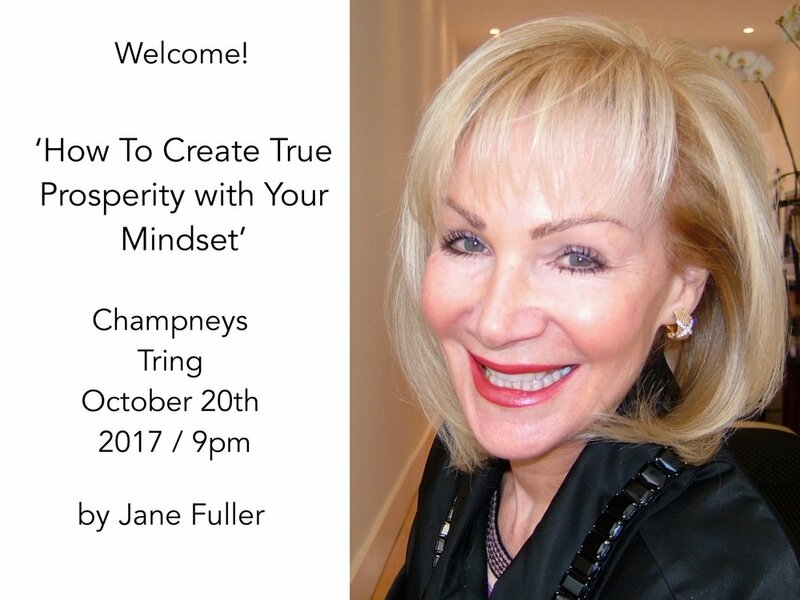 You will walk away from this workshop empowered and equipped with the skills to live an abundant life.